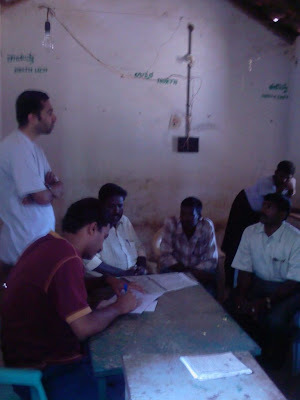 Last Saturday (May 24th) India Sudar-KA team conducted survey of 3 Government schools in Madhugiri Taluk, Tumkur District. This region is extremely backward, with agricultural labour being the prima! ry occupation. 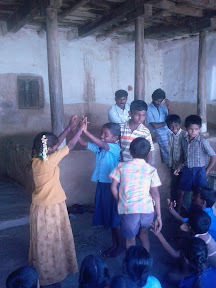 Adavi Nagenhalli school building is in a pathetic condition with leaking roof, broken tiles, no play area, less rooms. Several requests have been placed to the education department and an additional building is planned for construction soon. 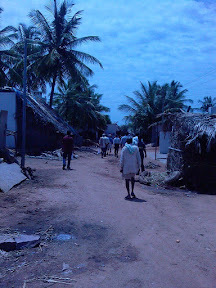 Tippapura, located at a distance of 4 km from Nagenahalli, is not even accessible by public transport. We could barely manage to reach this place via a kuccha road created by the villagers. A few committed teachers and local community members have been working earnestly to get the children to school and educate them. But, the general consensus among them was that the parents utter disregard for their wards’ education (Probably they dont understand the importance of education). 2. 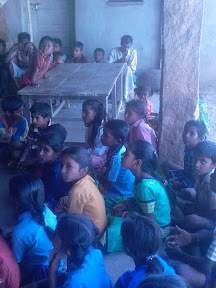 Awareness programme for the parents to make them understand the value of education. Mr Hanumantha Reddy, teacher of Govt. HPS, Adavi Nagenahalli had gathered few students and they displayed their singing, dancing and acting skills. It was very nice to see the energy of the students performing “impromptu” in scorching heat. Based on the survey report IndiaSudar – Karnataka team would prioritize the requirements and come up with the first phase of education support to these schools along with the schools surveyed in Chikkaballapur district. We earnestly request all members to continue your valuable support in this cause for promoting and elevating education in rural areas. Thanks to Mr. C.V.Kumar, Mr Anand and their entire family, who connected us to the school staff and local community. It is worth noting here that this family has been extending various forms of support to the schools in the past few years – be it the desk/benches provided via LIC co-operative bank (Mr. CVK spearheaded this) or plates/misc items donated by Mr.AnanthaKrishna and Mr.Anand to the schools. IS can easily leverage on this and extend its reach to enable and improve the educational status of underprivileged children in this segment.